Cookies, Bars, Snacks, Bakery, Variety Packs, Vegan, Non GMO, Juno Bars, with over 20 years experience in the Gluten Free, Organic food business, Bumble Bar can address a wide range of co-packing needs. Bumble Bar has the efficiency and dependability of a large corporation with the one-on-one service and flexibility of a small company. Bumble Bar would like to partner with you! Top 8 Allergen-Free & Conventional. Two separatefacilities offering allergen-freebaking and conventional baking. Third party audited. Organic, Kosher, Vegan, Gluten-free, Allergen Free (Except Coconut), HACCP/GMP/BRC certified facility. We offer all of our certifications as a CCOF Certified Co-Packer. We are not able to co-pack any products with nuts or allergens. Call or email Audrey Darrow at info@earthsourceorganics.com for more information. If we cannot take your product we will do our best to connect you with our sources who are able to. We are a small business that specializes in small batch mixing of gluten free dry baking mixes. VDACS inspected. Interested in helping small businesses. Dedicated gluten free equipment. ​Beverages, including loose teas and specialty processes. Hot fill, cold fill, UHT, and modified aseptic. Organic, Gluten Free, Kosher; We assist with development/stabilization of all of those products. For co-packing itself, we only do beverages. 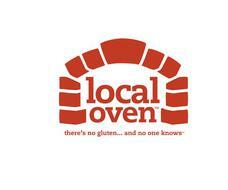 ​Local Oven, Farmers Branch (Dallas), TX, 972-250-1818, www.localoven.com.